Monday and time for a new sketch from Kortskissen #299. This time I rotated the sketch. I used stamps from Wplus9 and the letter stamps comes from Lawn Fawn. I used inks from Hero Arts and Versafine for the greeting. I then added some pearls, twine and glitter with the Wink of Stella glitter pen. 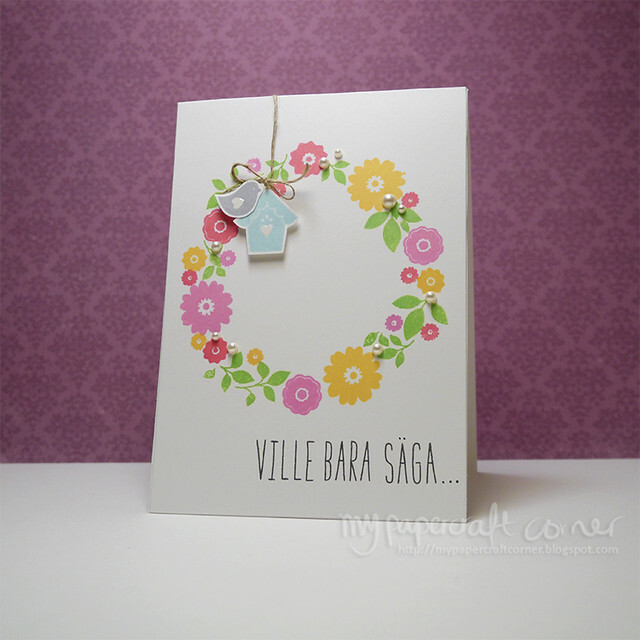 Go and check the other beautiful cards here Kortskissen #299.